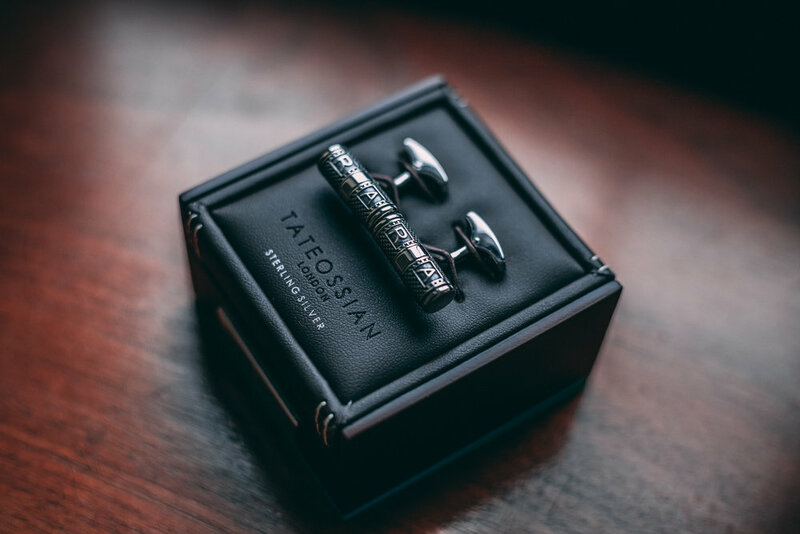 Having featured the matching personalised bracelet on my Instagram and The Dapper Chapper earlier this year, I wanted to introduce the personalised cufflinks. 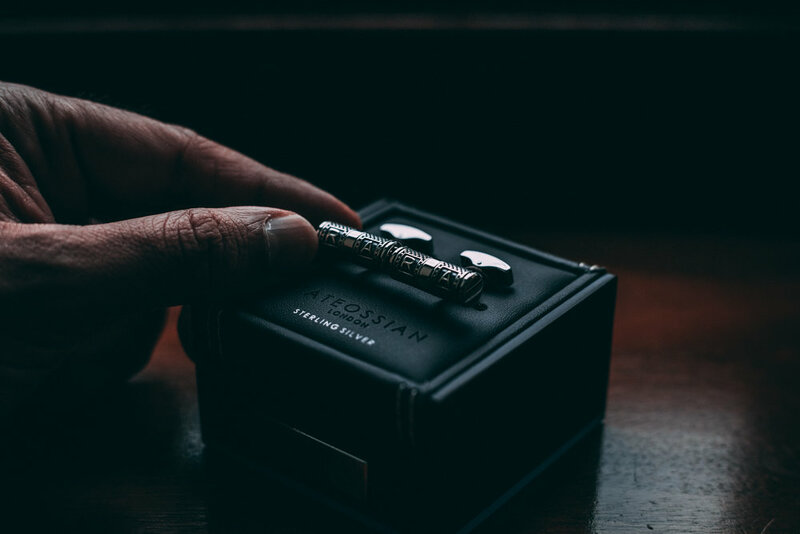 Tateossain makes many different mens jewelry from luxury materials to rare oddities, you really need to experience the pieces for yourselves. The personalised collection is a great way to access the brand and experience the luxury at an entry price point. The cufflinks are made from sterling silver finished with a fine meshed pattern, they can be matched with a leather bracelet, necklace and keyring. The packaging is something to behold, great for a present for a loved one with all the class you can expect.